Google outs Handwriting Input App for Android - scribble away to glory! 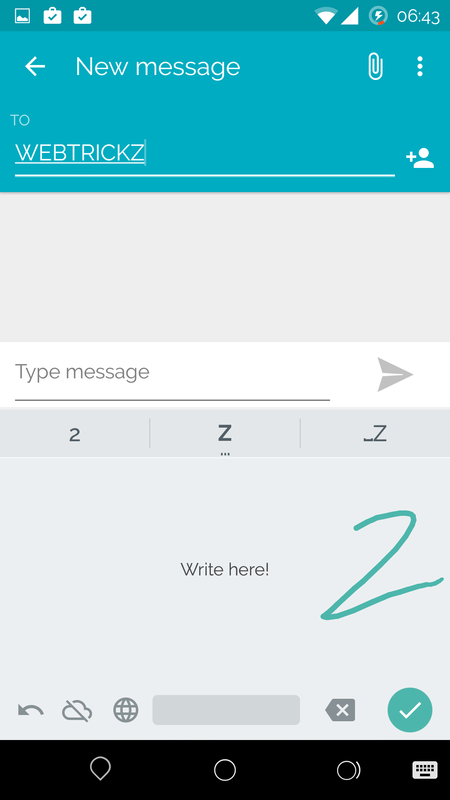 Google outs Handwriting Input App for Android – scribble away to glory! For the ones who do not have a tablet with a stylus or a device like a Samsung Galaxy Note, inputting the text via handwriting is either something they’ve never tried or yearned for but couldn’t find a good one to try or had to purchase a special app. But what if someone threw in an app for free, that you could use to toggle between the normal keyboard and a handwriting recognition one – makes you happy? 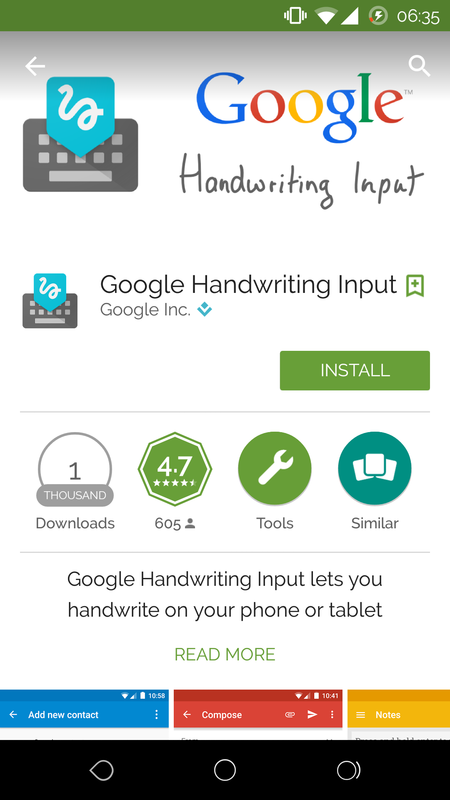 yeah Google’s Handwriting recognition app is out now on the Google Play Store and to sweeten the deal it’s FREE! And if this was not enough this app seamlessly works on tablets and smartphones that run Android. Head over to the Google Play Store to download the app. Once downloaded, tap the app icon and tap on OK for the confirmation. 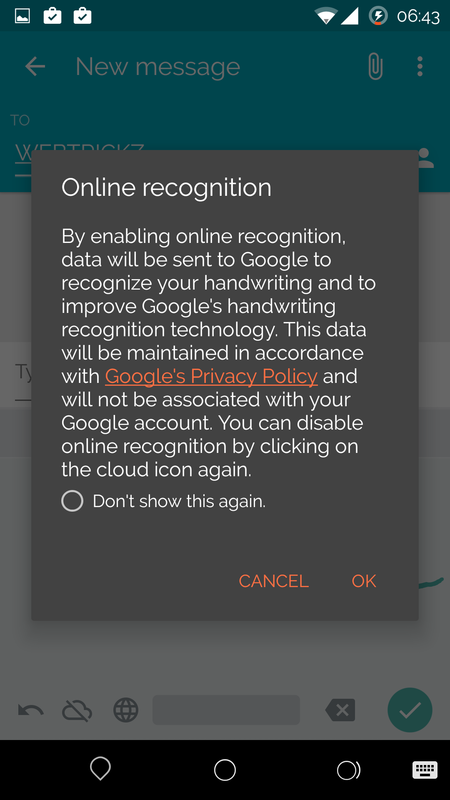 In the following screen that comes up next, enable Google handwriting Input. Tap OK to confirm. 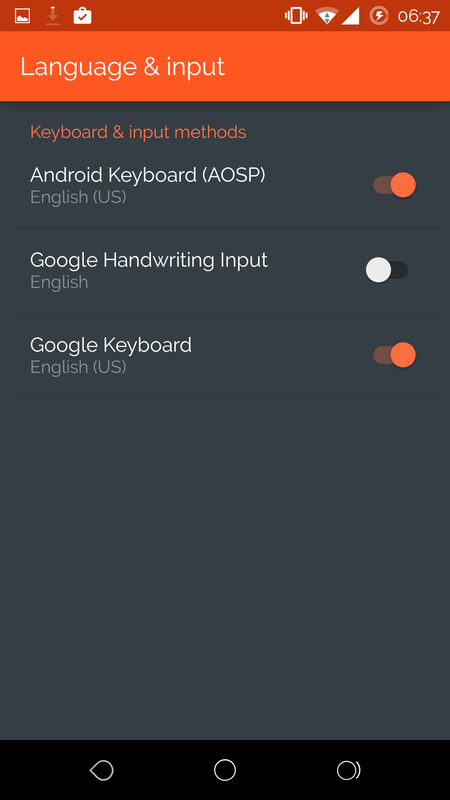 Choose the ‘Google Handwriting Input’ as your keyboard in the next screen to try out. Once done you should be able to see all the 3 options ticked and you are all set to go now! Accurate but a tad slow – we must admit this new keyboard is simply so accurate in converting the handwriting into text, me being very bad at my handwriting could get it to write accurate 9 out 10 times and that is an indication of its smartness and we are impressed. However many a times there is a tiny lag or 2-3 seconds for the output to come up. This is not dependent on how neat or scribbled your handwriting is but something that the keyboard is trying to grasp, predict and type out. But we hope its gonna improve with a update in the future and we do not want to be too fussy about this in the 1.0 release! What more it can even predict smilies! UI – Google has incorporated the highly regarded Material Design UI and this is good. The reason why we say this is most of the apps including WhatsApp which is easily one of the best used apps for communication has also incorporated the material UI. Thus this new keyboard jsut blends in and its a feast to the eyes – trust us! its so cool. The fact that its so easy to toggle across to the Google keyboard makes it all the more intuitive to use. Extensive language support – so this works not just for English but for as many as 82 different languages! Just head onto the settings section of the app and move it to a language of your choice. We tried English, French, German and boy it worked so good. So overall its a fresh breath of air Google has brought in with this handwriting recognition app. It’s day 1 and most of us have gone crazy in using it and since it works so well we will use it and keep toggling with the normal keyboard. When its a simple app or a complex app it ought to do it’s primary task good and this one just does that.